At Yoga Tree we recognize that yoga’s true potential is found in the diversity of the teachers and students who make up our community. To support this diversity we have invited a number of world-renowned teachers to offer trainings at Yoga Tree; each adding depth, knowledge and years of wisdom to the ancient practice of yoga. Below is a list of upcoming specialty trainings to help you deepen your practice and grow as a yoga teacher. *To enroll in a 50-hour module, click on the title of module below. To enroll in multiple modules, call Yoga Tree Potrero at (415) 655-3936. Are you ready to take your yoga teaching to the next level with an experiential and practical program? Open to yoga teachers of all levels from all backgrounds and lineages, the Lighting the Path 300-hour Advanced Teacher Training is taught across four independent 50-hour modules and offers a unique blend of intensive yoga asana practices, practical teaching experience, and an in-depth focus on sequencing, assisting, alignment and business principles. Morning yoga and meditation intensives from 7:00am-10:00am are a required part of each module, and help students connect into their own practice as a platform for growth as a teacher. Afternoon sessions help students create a vision for their life and teaching career, and build the support system for success. Each module focuses on the foundations of this support, as well as the physical and emotional aspects of the yoga practice, giving teachers necessary tools to teach and work with a wide range of student populations. These four modules (or only the morning yoga and meditation intensives) can be a part of anyone’s 300-hour journey with Yoga Tree. Students are invited to register for single modules or for all four modules in the series. The core curriculum of the LTP 300 is spread across four 50-hour modules for a total of 200 hours. Each module is five days in duration and focuses on a different aspect of advanced teaching and asana. You must be a graduate of a 200-Hour Teacher Training program in order to attend. This foundational module is deeply rooted in sequencing and in building strong, thorough skills in assisting, alignment, and yogic business. Students will leave the five-day program with a toolkit for sequencing safe and dynamic classes, effective cueing for common alignment concerns, and tools for confident teaching, and professional communication and marketing. Ideal for teachers of all levels who are looking to refine the way that they create, teach, manage, and market their classes. Weave your passion and purpose into your teaching. Learn practical skills for theming classes, sequencing towards an intention, and creating workshops and retreats. This module will use process work, discussion, and teaching exercises to explore and expand your authentic voice and gifts as a teacher and help refine how you share your unique offerings with your students. Teach to the student in front of you in real time. Leave prepared to effectively sequence and teach to students with diverse backgrounds and skill levels – even if they are all in the same class! Build skills in working with a wide variety of student populations, including in-depth sessions on working with injuries, pose modification options, prenatal and other specialized students. 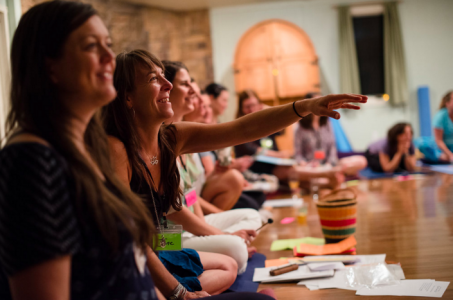 Sessions on the business of yoga explore building opportunities both inside and outside of a studio setting, writing effective newsletters, and producing authentic marketing materials. Connect with your students beyond the physical components of the practice. We will focus on the emotional and energetic body, work with seeing energy and holding space, and build a toolkit for sequencing and assisting towards the emotional and energetic aspects of the practice and the subtle body. Additional sessions include in-depth discussion of pranayama and meditation, as well as the emotional aspects of money. Pete or one of his lead assistants will host the following information sessions to share additional details and answer questions. Pete Guinosso (E-RYT 500) helps students connect with their hearts. His gentle guidance and intuitive assists allow students of all levels to step out of their comfort zones and find their own authentic path in the practice. His passion to guide students into their role as skilled, authentic yoga teachers led him to create his signature Lighting the Path teacher training. Pete tours internationally for workshops, festivals, trainings and retreats and has been a featured presenter at Wanderlust, Bhaktifest, Asia Yoga Conference, Yoga Alliance and Yoga Journal. Whether his classroom is the studio or a desert floor, Pete’s heart-centered style offers students a strong vinyasa flow with room to breathe and feel. Pete draws inspiration from his work with Ana Forrest, Rusty Wells, Annie Carpenter, and Jason Crandell, his study of Buddhist meditation and his background in competitive running and cycling. For more about Pete and his community, visit petegyoga.com. *How does the LTP 300-hour program work? The core curriculum of the LTP 300 is spread across four 50-hour modules for a total of 200 hours. 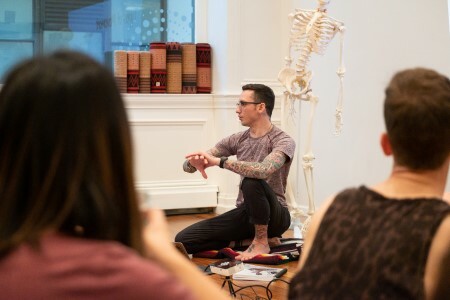 Each module is five days in duration and focuses on a different aspect of advanced teaching and asana, and includes 45 contact hours and 5 non-contact hours with Pete and other senior LTP faculty. The remaining 100 hours of study will be tailored to each student’s teaching focus and interests. This allows students to pursue advanced workshops and trainings that will benefit them most as a teacher, and also includes 50 hours of mentorship with Lighting the Path faculty. All hours and enrollments are pre-approved by the Pete G Yoga team in order to apply towards 300-hour completion. What makes the training different? We know that every teacher is different. The LTP 300-hour program allows teachers to develop their own style and specialization, while offering a curriculum that provides a broad base for advanced instruction. Each module enables enrolled students to cultivate necessary skills for effective and heart-centered teaching: deep knowledge of asana, alignment and modifications, classroom presence, consistency, and authenticity. The program will cover components of running and expanding a successful yoga business, integrating other passions into yoga offerings, and holistic print and social media marketing. Lighting the Path Registered Yoga School is designed to be experiential. Intensive morning yoga practices help students embody the skills being taught in afternoon sessions. Students work together and individually to build classes and workshops that can be used right away and tailored to specific student populations. Trainees will receive constructive feedback on their teaching, and develop a plan for expanding their presence in the classroom. Click here for more information about the LTP Advanced Teacher Training. Pete Guinosso (E-RYT 500) helps students connect with their hearts. His gentle guidance and intuitive assists allow students of all levels to step out of their comfort zones and find their own authentic path in the practice. His passion to guide students into their role as skilled, authentic yoga teachers led him to create his signature Lighting the Path teacher training. Pete tours internationally for workshops, festivals, trainings and retreats and has been a featured presenter at Wanderlust, Bhaktifest, Asia Yoga Conference, Yoga Alliance and Yoga Journal. Whether his classroom is the studio or a desert floor, Pete’s heart-centered style offers students a strong vinyasa flow with room to breathe and feel. Pete draws inspiration from his work with Ana Forrest, Rusty Wells, Annie Carpenter, and Jason Crandell, his study of Buddhist meditation and his background in competitive running and cycling. For more about Pete and his community, visit www.petegyoga.com. This course is about yoga for women’s health and vital energy. Learn techniques to feel, nurture and build the feminine energy of Shakti for the practical healing and benefit of women in all stages of life. This approach is founded upon the understanding that conscious respectful awareness of the menstrual cycle, and of all cycles in women’s lives are crucial to female vitality, self-respect and spiritual empowerment. The Well Woman Yoga Therapy Training (also known as Womb Yoga) is for yoga teachers and experienced yoga practitioners who sense that yoga could be of more practical use to all women in managing health, vital energy and well-being. It is also suitable for holistic health-care practitioners with a sound yoga background who are working in the field of women’s health and would like to integrate the healing benefits of yoga with their own therapeutic practice. These issues are addressed within the context of a yoga therapeutic understanding of feminine emotional life, lunar cycles and the play of the elements in the female body. This course encourages you to think and feel for yourself, and aims to provide practical tools from yoga therapy and Tantric philosophy to help create programs suited to the needs of women seeking full vitality and well-being. course by the International Association of Yoga Therapists. This course qualifies for credit in the Yoga Tree Continuing Education Program and continuing education credit with the Yoga Alliance. Course content and philosophical background is included in Uma Dinsmore-Tuli’s book Yoni Shakti: A Woman’s Guide to Power and Freedom Through Yoga and Tantra. Writer, visionary, radical yogini, Total Yoga Nidra advocate and eco-feminist activist, Uma Dinsmore-Tuli met yoga in 1969 at the age of four, and fell in love. She’s been practicing ever since, and teaching yoga since 1994. 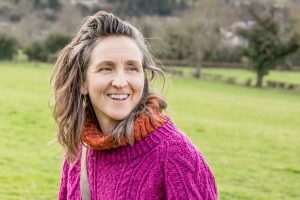 She’s a yoga therapist specialising in women’s health, a mother of three, author of several books, including the radical Yoni Shakti, co-founder of the Yoga Nidra Network and Total Yoga Nidra. 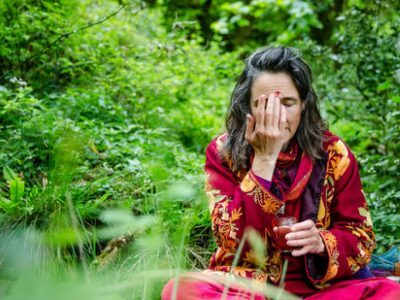 Uma has a Diploma in Yoga Therapy from the UK Yoga Biomedical Trust and trained in Structural and Ayurvedic Yoga Therapy with Mukunda Stiles. She also studied Yoga Nidra with Swami Muktidharma and Richard Miller during their visits to England. Sharing from her experience in supporting postnatal recovery including after pregnancy loss. Sharing from her experience as a pelvic floor physical therapist, speaking on the interface between yoga therapy and pelvic floor health. Sharing from her experience in supporting many diverse aspects of women’s health through shiatsu and yoga therapy. NOTE: This training is sold out. To be placed on the waitlist, please contact Alise Crain at alisec@yogaworks.com. If spots open up in this training, we will promptly notify prospective enrollees based upon their waitlist position. If you paid a deposit for this training and wish to pay the balance, please contact Alise Crain at alisec@yogaworks.com. This course qualifies for credit in the Yoga Tree 500- and 1000-hour Advanced Teacher Training Program. *A payment plan is available for this training. If you are on a payment plan, your payments must be completed by May 15, 2019. If you pay a deposit, your balance is due by May 15, 2019. This is a nonrefundable training; please read the details at the end of the listing. To enroll in a payment plan or if you have questions about your registration, email Alise Crain at alisec@yogaworks.com. **Although we do not anticipate any changes, schedule and location are subject to change. Please do not schedule a return flight that requires you to leave the training early. Exit at Civic Center station and transfer to K, L, or M Muni lines (also within Civic Center station). Rail | F, K, L, or M Lines: exit at Market and Castro; walk 1 block south on Castro; turn right at 18th St. for one block and turn right at Collingwood St., first door on right. The 24 line travels mostly north-to-south via Divisadero/Castro St. Exit at Castro St. and 18th St. • Walk one block west on 18th St to Collingwood St. • Turn right on Collingwood St. • Walk about 50 feet to first door on right. The 33 line travels northeast-to-southwest through Laurel Heights, Inner Richmond, Upper Haight, Ashbury Heights, Castro & Mission. Exit at 18th St. and Castro St • Walk one block west on 18th St to Collingwood St. • Turn right on Collingwood St. • Walk about 50 feet to first door on right. Located .5 from studio at Castro & Dubose St. Entry is on Castro St. (east side) between 14th & Duboce St.
Entrances are located on Geary St & Post St. (between Laguna & Webster St.). You can drop off props at the studio first, park your car and walk back or take a Lyft or taxi. the east just south of Haight St. and turns into Castro St. There are two entrances (one on Post St; the other on Sutter St.) just west of Divisadero St.
∘ 350 Rhode Island St. Located 2 miles (about a 35-minute walk south of the studio. Attend all sessions (no exceptions). Complete a project to be submitted by mail approximately six weeks after the workshop. Include $150 check at the time of submission of the project for the certificate, the time spent grading the project and a lifetime listing on www.restorativeyogateachers.com (you can change your listing as often as you like, free of charge). It is also possible to take the workshop for learning only and not submit the project. Relax and Renew®: Restful Yoga for Stressful Times by Judith Hanson Lasater, Ph.D., PT. Restore and Rebalance: Yoga for Deep Relaxation by Judith Hanson Lasater, Ph.D., PT. †Note: Please bring both texts to class every day. These texts are available at a 30% discount through Shambala Publications. Use the code JHLYOGA30 to receive this discount. ***Yoga Tree will have 1 block, 3 blankets and 1 bolster for each participant available at the studio. Students are required to bring 1 sticky mat, 1 block, 1 eye bag, and 3–4 blankets to the training. We understand that many people come from out of town; however this is the requirement for this training, even if you are flying in. NO EXCEPTIONS! A training assistant will take photos of pose demonstrations and they will be posted online for all training participants. Judith Hanson Lasater, Ph.D., P.T., has been teaching yoga since 1971. Ms. Lasater has trained students and teachers in almost every state of the Union and abroad, is one of the founders of Yoga Journal magazine and is the president of the California Yoga Teachers Association. She has written nine books, including Relax and Renew®: Restful Yoga for Stressful Times and What We Say Matters: Practicing Non-Violent Communication (2009). Her latest book is Restore and Rebalance: Yoga for Deep Relaxation. This is a nonrefundable training. If you decide to withdraw from this training, you will not receive a refund to your credit/debit card or a studio credit on your Yoga Tree account. Requests to rollover to next year's training are possible, but not guaranteed and are considered on a case-by-case basis. This policy applies to both local and non-local registrants. Please understand there are no exceptions. We are 100% committed to hosting the training, and we need that same level of commitment from students in order to run a stable and sustainable business. Thank you for understanding. Your registration signifies that you agree to the above policy and understand that it is in immediate effect upon registration. If you have any questions, please contact workshops@yogatreesf.com. Note: This listing is for the third of three modules for Diving For The Blue Pearl. To enroll in the February 3 or May 26, click on the module date/name below. Note: This listing is for registration in the July 21 module. To enroll in the February 3 or May 26 modules, click on the module date/name above. Preksha is a beautiful Sanskrit word that means "seeing, beholding, reflecting." In this advanced module we will explore ways of seeing clearly: Our own practice and lives, and the practices of our students. We will seek out blockages and patterns and look to create clarity and fluidity. Much of this training will be on gaining skills at seeing your students clearly both physically and in all three planes of motion. And also skillfully seeing the flow of prana, and seeking out and clearing blockages that may be present. With this clarity, both clear cueing and hands-on adjustments can be created for the student. Additionally, you’ll learn to create action plans that will inform and inspire your students to see themselves clearly, with patience and light. Morning practices will be strong and highly specific. Afternoons will be labs of assessing and learning new hands-on adjustments, as well as building action plans for releasing habitual patterns. Upon completion, this week-long Teaching Skills Advanced module qualifies for 50 hours towards Yoga Tree Advanced Certification OR SmartFLOW Advanced certification. Regarded as a “teachers’ teacher”, Annie Carpenter is the creator of SmartFLOW Yoga, an intelligent marriage of mindful movement with compassionate, wakeful alignment. 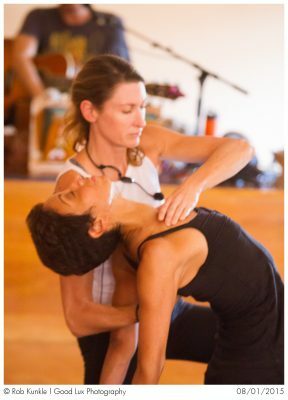 Based in northern California, Annie creates practices that are at once advanced and challenging, yet safe and playful. An influential teacher trainer since 2003, Annie leads 200/500 trainings and workshops globally. *Advance price registration for this training is not available through the mobile app. Please visit YogaTreeSF.com or call Yoga Tree Potrero at (415) 655-3936 to enroll at the advance price. The Lighting the Path Teacher Training program is a life-changing course of study for dedicated yoga students and aspiring teachers. Lighting the Path Teacher Training prepares you to be an authentic and heart-centered yoga teacher, offering compassionate and accessible vinyasa classes for all levels of students. Vigorous morning yoga intensives guide you deeper into your own practice and life purpose, while afternoon instructional sessions cover an extensive yoga teacher curriculum, including cueing, sequencing, hands-on assists, working with injuries, demonstration techniques, vocal presence, yoga philosophy and history, the business of yoga, ethics, and anatomy. The LTP program includes a variety of teaching methods so that you can learn, practice and embody the material. This includes demonstration, lecture, talking circles, group processes, and partner practice. You will receive personalized attention, guidance, and feedback directly from Pete Guinosso and his highly qualified assisting staff and senior guest faculty. Process work helps you to connect to your own heart’s wisdom and find your authentic voice as a teacher. Deep connection with the community of trainees and trainers gives you the support you need during and after the training to be successful in establishing yourself as a teacher and throughout your yoga career. LTP trainees begin teaching on day one, initially teaching to other students and gradually building up to teach a group public class under Pete’s guidance. The program’s teaching focus helps trainees become adaptable and knowledgeable teachers for a wide variety of students. This training is ideal for serious students of yoga and aspiring teachers, as well as current yoga teachers looking to add additional skills to their teaching. Upon completion of this training, you are eligible to register with Yoga Alliance as an RYT-200 teacher. You will also be able to enroll in Lighting the Path’s 300-hour teacher training course and/or the LTP mentorship program. Open to students of all levels interested in teaching others and/or taking their practice to the next level. Pete Guinosso (E-RYT 500) helps students connect with their hearts. His gentle guidance and intuitive assists allow students of all levels to step out of their comfort zones and find their own authentic path in the practice. His passion to guide students into their role as skilled, authentic yoga teachers led him to create his signature Lighting the Path teacher training. 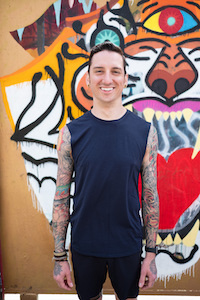 Pete tours internationally for workshops, festivals, trainings and retreats and has been a featured presenter at Wanderlust, Bhaktifest, Asia Yoga Conference, Yoga Alliance, and Yoga Journal. Whether his classroom is the studio or a desert floor, Pete’s heart-centered style offers students a strong vinyasa flow with room to breathe and feel. Pete draws inspiration from his work with Ana Forrest, Rusty Wells, Annie Carpenter, and Jason Crandell, his study of Buddhist meditation and his background in competitive running and cycling. For more about Pete and his community, visit petegyoga.com. *Payment plan available; upon placing $500 deposit or for more information, please contact Alise Crain at alisec@yogaworks.com@yogaworks.com. Please note that there is a $50 administrative fee for payment plans. **If you paid an online deposit, you can pay the remaining balance at a later date through the REMAINING BALANCE pricing option, the training must be paid in full by September 28. If you are on a monthly payment plan, the remaining balance must be paid in full by January 31, 2019. 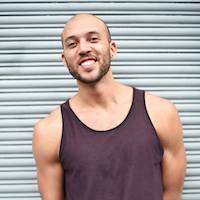 ***All classes with Pete are complimentary for the duration of the training. *ENROLLMENT NOTE: Registration for this training is not available through the mobile app. Please visit YogaTreeSF.com or call Yoga Tree Telegraph at (510) 486-1989 to enroll. This 40-hour course is intended for those who wish to teach Yin Yoga, as well as for anyone who wishes to be immersed in the profound benefits of this meditative, therapeutic and philosophically-rich practice. This course includes an 8-hour, supervised, personal project (in accordance with Yoga Alliance specifications). Combining Indian Yogic, Chinese Taoist, and Indian/Tibetan Buddhist philosophical lineages, Yin Yoga encompasses a vast, holistic approach to health and well-being of body, mind, and spirit. "I have complete confidence in Christy's sensitive and skillful ability to teach teachers the nourishing practice of Yin Yoga." *To place a deposit, please visit the Yoga Tree Potrero front desk or call (415) 655-3936. Christy Brown, E-RYT 500 has taught yoga since 2000. She has studied in India with Sri K. Pattabhi Jois (Ashtanga yoga) and S.N. Goenka (Vipassana meditation) and in the U.S. with Sarah Powers, Paul Grilley, T.K.V. Desikachar, and H.H. the Dalai Lama. **ENROLLMENT NOTE: The advance price for this workshop is not available through the mobile app. Please visit YogaTreeSF.com/workshop/yin-yoga-immersion-teacher-training or call Yoga Tree Potrero at (415) 655-3936 to enroll at the advance price. Spend a weekend immersed in the bhakti tradition of heart-centered practices, including chanting. We’ll explore the joyful and meditative journey of singing to the Divine through call-and-response, which creates a bridge between the individual and the eternal, opening the heart and welcoming the spirit. By singing these prayers, we unite our voices and join in a stream of consciousness and devotion that has been flowing for centuries. 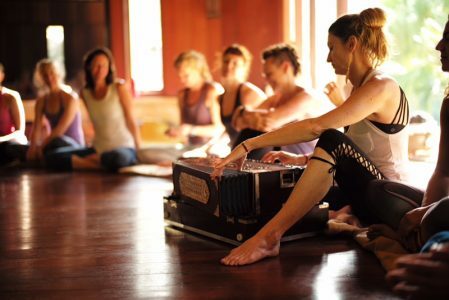 Join Janet Stone and friends for an exploration of bhakti/devotion. We’ll chant, chant, chant and drink in the wisdom of many a guest musician who will share their experience and interpretation of bhakti. Each day will include a morning practice with musical accompaniment, followed by discussion, sharing, and lots of chanting. Approximately 1 hour of homework or group work will be assigned after each session and follow-up reflections and writings will also be required. Teachers receive 25 hours of Yoga Alliance Continuing Education credit (19 contact hours and 6 hours of credit from assigned self-study). This training also qualifies for credit towards the Janet Stone Yoga or Yoga Tree 500-hour and 1000-hour teacher training programs. YT Training Center, 175 De Haro St.
***ENROLLMENT NOTE: Advanced pricing is not available on the Yoga Tree mobile app. Please visit yogatreesf.com or contact Yoga Tree Potrero at (415) 655-3936 to enroll at the advance price. Immerse yourself in the study of yoga for the childbearing year! This 45-hour comprehensive Level 1 training will include how to teach yoga to women in all stages of pregnancy and throughout the early stages of postpartum. The training will explore yoga as a tool in preparation for not only childbirth, but for motherhood! Whether or not you have the goal to teach, this training is also a fit for you if you work with women in any capacity (doula, midwife, obstetrician + gynecologists, massage therapists, etc.). Also, mamas looking for ways to deepen their own practice will find a lot of benefit in this immersion as will yoga teachers from every discipline. Qualifies for Yoga Alliance Continuing Education Credit, hours toward Yoga Tree's 500- and 1000-hour Certification Program, OR can be applied toward the 90-hour Yoga Alliance Prenatal Certification, but not both. All participants must have completed a 200-hour basic teacher training or at least three years of yoga practice. Teacher Training Center, 175 De Haro St.
Jane Austin has worked with pregnant women and their families since 1990. She is a certified yoga teacher, trainer, and founder/director of Mama Tree, a prenatal yoga school dedicated to educating yoga teachers, doulas and midwives on how to use the tools of yoga to support pregnant women and new moms in all stages of the childbearing year and beyond. She weaves her experience as a midwife, doula, childbirth educator and mother into her work. 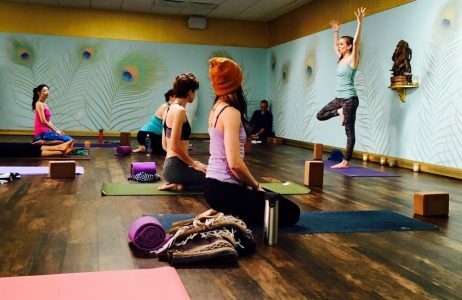 Mama Tree Prenatal Yoga Teacher Training: Level 2 is designed for those who are looking to continue to study the art of teaching yoga to mamas. This rich training invites participants to dive deeper into themselves to discover their authentic voices. This training is appropriate for those who have completed a 200-hour yoga teacher training and Mama Tree Level 1. Upon successful completion of both Mama Tree’s Level 1 and 2 trainings, students will be eligible to register 85 hours toward a Registered Prenatal Yoga Teacher (RPYT) designation with the Yoga Alliance. This training is limited to 30 students; register soon to secure your spot! Visit yogatreesf.com for complete information and schedule. Jane Austin has worked with pregnant women and their families since 1990. She is a certified yoga teacher, trainer, and founder/director of Mama Tree, a prenatal yoga school dedicated to educating yoga teachers, doulas and midwives on how to use the tools of yoga to support pregnant women and new moms in all stages of the childbearing year and beyond. She weaves her experience as a midwife, doula, childbirth educator and mother into her work..
**ENROLLMENT NOTE: Advance pricing for this training is not available through the mobile app. Please visit YogaTreeSF.com or call Yoga Tree Potrero at (415) 655-3936 to enroll. Turiya. By transcending Ego and limiting beliefs, you transcend your story and begin to live a life of resplendence right here, right now! Investigate how the mind works, storyboarding the movie of your life. Unearth the parts of us that sabotage (vikalpas) and learn how you can replace those parts with your heart’s desire (sankalpa). Experience technologies such as Yoga Nidra (yogic sleep) and why they are powerful tools in helping you manifest your more expanded reality, as well tools to help you reduce stress and gain clarity. Learn to walk your talk and take your yoga off the mat in a practical and realistic, resplendent way. As the light dissipates, our bodies are called to slow down, even as the world outside keeps moving in frenetic laps. During this week, drop into the body, mind, spirit to find spaces between effort and surrender, allowing our systems to release into its great integrative power. • Ways to integrate introspective movement into personal practice and teaching. Teachers receive 35 hours of Yoga Alliance Continuing Education credit (27.5 contact hours and 7.5 hours of credit from assigned self-study). This training also qualifies for credit towards the Janet Stone Yoga or Yoga Tree 500-hour and 1000-hour teacher training programs. Yoga Tree Teacher Training Center, 175 De Haro St.
*JSY and YT trainees: Please contact any Yoga Tree studio to enroll. **ENROLLMENT NOTE: Advance price purchases are not available on the Yoga Tree mobile app. Please visit yogatreesf.com or contact Yoga Tree Potrero at (415) 655-3936 to enroll at the advance price. *15% discount for Danni Pomplun Yoga 200-hour graduates and Yoga Tree 200-hour graduates. **Individual modules are $1050 each. Unlock and unleash your yoga teaching potential. This 300-hour yoga teacher training will be led by Danni Pomplun with faculty including Noah Mazé and Rocky Heron. Our 300-hour training boasts the highest caliber of yoga education. Geared toward existing yoga teachers who are ready to increase efficacy and potency, we provide tools that dramatically improve knowledge, clarity, and focus. Expect to enhance existing skills, and put them to more productive use, as well as dive into new territory. We have designed curriculum that yields graduates who are able to deepen their current repertoire, and expand on it. Our aim is to see your strengths, meet you where you are, and support your unique direction and growth. We do not produce cookie-cutter yoga instructors. We challenge and educate you to better know yourself as a teacher and grow your capacity from your ability to make sound decisions based on your needs, as well as the needs of your students. This training will challenge you to investigate the "why" of how you teach, and ask questions that may not have occurred to you to consider, so that you can ultimately deliver your own lessons and curriculum with clarity and confidence. This training consists of five 6-day modules. In between onsite sessions, we will utilize online classrooms to apply and integrate learning. Each 60-hour module is comprised of 48 in-person hours and 12 online classroom hours. Each morning we meet, class will begin with morning meditation and asana practice. To follow, we will convene for a group assessment and participate in peer teaching with feedback. To follow, the module’s focus will be presented through lecture or practicum. Completion of the course in its entirety will make you eligible for the RYT-500 designation with Yoga Alliance (if you have completed a 200-hour accredited program). You must have met all course requirements, complete any make-up work, and be present for all 5 modules. It is not expected that modules be done in order, however all five modules must be completed to be eligible for certification. In this module, we will lay the groundwork for progressive teaching, starting from where you're at as a person, and a teacher. This module’s focus will center around pose improvements, demonstration, and observation. We will encourage you to think about yourself holistically, and what you currently offer to your students as a teacher. Continuing on with progressive teaching, we will dive deeper within the body to further solidify your understanding of biomechanics within postures. From major muscle groups to skeletal regions, we will examine how the body functions to allow the body to enter and sustain various asanas, as well as common injuries and modifications. We will focus on creating and teaching anatomical body region classes, with best practices for demonstration within class. Sequencing can be challenging. Sequencing with proper alignment and on a theme can be even more challenging. In this module, we will examine how to properly teach to alignment of postures, and how to best set up a class sequence geared towards a peak posture or a philosophical idea. What is vinyasa...really? With many broad definitions out there, we will look at modern vinyasa in its current form today and identify elements of vinyasa together to better understand this style. Progressions and regressions of asanas will be evaluated to accommodate mixed-level classes. The culmination of this course will build a current yoga toolbox for you to carry around as a teacher. There are many that we may possess, but we either do not utilize them, underutilize them, or don’t know how to utilize. This module will focus on how to maximize tools like teaching skills, understanding your class as a whole, and how to communicate effectively. Danni Pomplun is a 500-hour E-RYT Yoga Teacher and a member of the training faculties of Yoga Tree in San Francisco and Noah Mazé's The Mazé Method in Los Angeles. 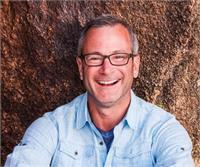 Danni leads popular workshops and immersions in his hometown of San Francisco and across the country. No matter where he goes the thread of community remains. His style has been described as functional, down-to-earth, and fun with an edge. Each offering will connect to power and flow, infused with light-hearted spirituality where you’ll find the inspiration to connect with your higher self. Noah Mazé has devoted his life to the subject of yoga. Best known for his clear, precise and methodical teaching style, his tangible knowledge, and his ability to transmit with openness, curiosity, and wit are palpable. Noah has collected, gathered, experienced and embodied this vast subject: seeking out the best teachers, learning from different lineages and absorbing much of what is on offer. Ever-advancing the conversation and curriculum in yoga education, Noah co-founded the Mazé Method with his wife, Tracy. Together they have pioneered training content to enhance and sharpen the skills of yoga teachers. Noah believes that always remaining a student is essential to teaching. He has thus devoted himself to creating pathways for teachers to continue their learning and cultivation of skill and voice. Rocky Heron is an internationally acclaimed yoga educator and musician. 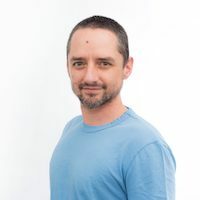 Known for his uncanny wisdom and in-depth understanding of yoga anatomy and alignment, Rocky’s teaching is informed by years of study in nearly every yoga style and a diverse background of movement modalities. He discovered yoga in the summer of 2004, and began his path of teaching in 2007. Considered within the yoga industry a “teachers teacher,” Rocky works worldwide facilitating trainings and continuing education for dedicated teachers. He is a contributor to the YOGAMAZÉ curriculum and works closely with founder Noah Maze as a faculty member of the school. For more information about the program or the curriculum, please email Danni@dannipomplun.com. This is Module 1 of Danni Pomplun Yoga's Mazé Method 300-hour Advanced Teacher Training, which will take place over five 6-day modules February 10-November 14, 2020 over. To enroll in the entire training or for more information about the training and instructors, click here. This is module 2 of Danni Pomplun Yoga's Mazé Method 300-hour Advanced Teacher Training, which will take place over five 6-day modules February 10-November 14, 2020 over. To enroll in the entire training or for more information about the training and instructors, click here. This is module 3 of Danni Pomplun Yoga's Mazé Method 300-hour Advanced Teacher Training, which will take place over five 6-day modules February 10-November 14, 2020 over. To enroll in the entire training or for more information about the training and instructors, click here.